Nutrition is paramount for healthy hair and when you're a little like myself and can't trust yourself all the time to get everything you need from your diet, you might, like I did, turn to supplements. You may want to first check out my simple, 100 % natural and cheap trick to shiny hair, or how I'll be going about getting longer, stronger, thicker hair, but today's post is about hair supplements! 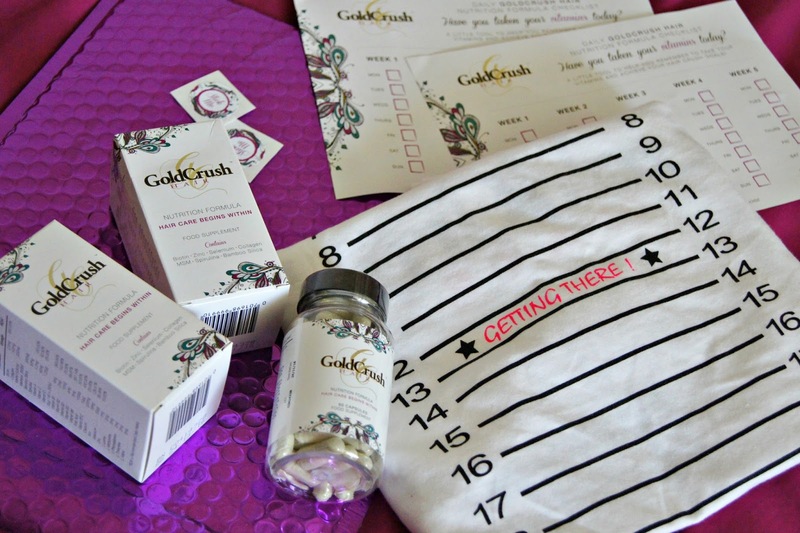 Conveniently coinciding with my Hair Journey embarkation, I was contacted by GoldCrush and kindly sent an exciting pink package of hair supplement goodies. 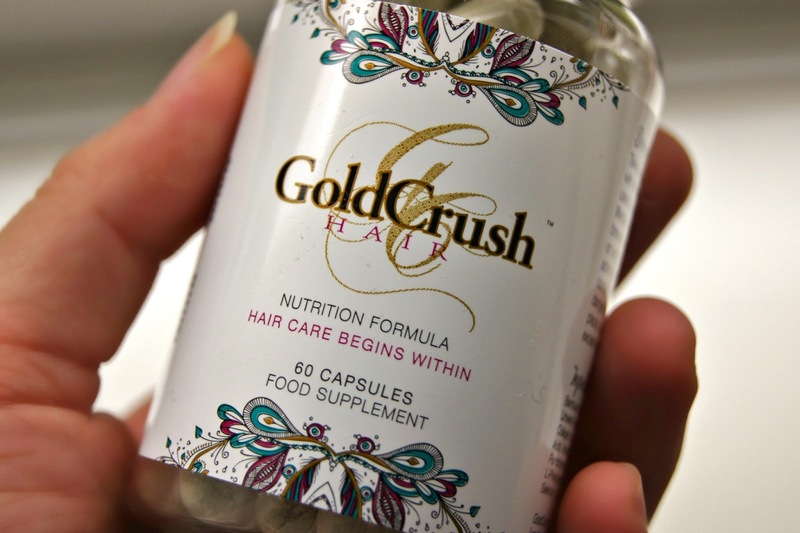 GoldCrush hair vitamins endeavour to support and maintain optimal healthy hair growth. 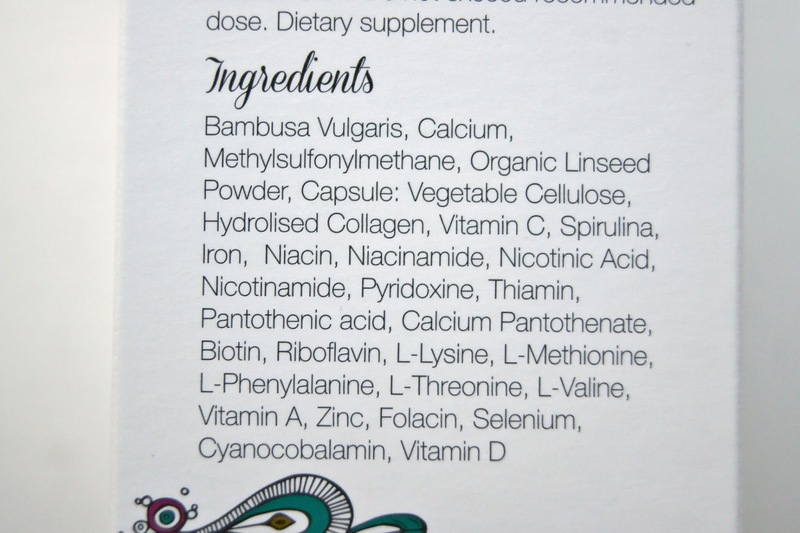 For those a little dubious about, and wary of, supplements, GoldCrush don't use preservatives, artificial colourings, synthetics or fillers and are wheat, gluten and lactose free, so you can feel good whilst making your hair feel good! Your bottle of pills comes with a little chart to remind you to take them, which is pretty handy for all us forgetful beings, and if you're quick, you can get a free t-shirt that measures your growth by ordering from the GoldCrush website; it's £20 for a month's supply which isn't extravagant if you're serious about your hair. I've only been taking these capsules for a little while, too early to report on any progress, but I'm brimming with excitement at the prospect of thicker, longer, more flowing locks. My only qualm to date is that, as I'm not good with swallowing large tablets, the capsules themselves are pretty sizeable. 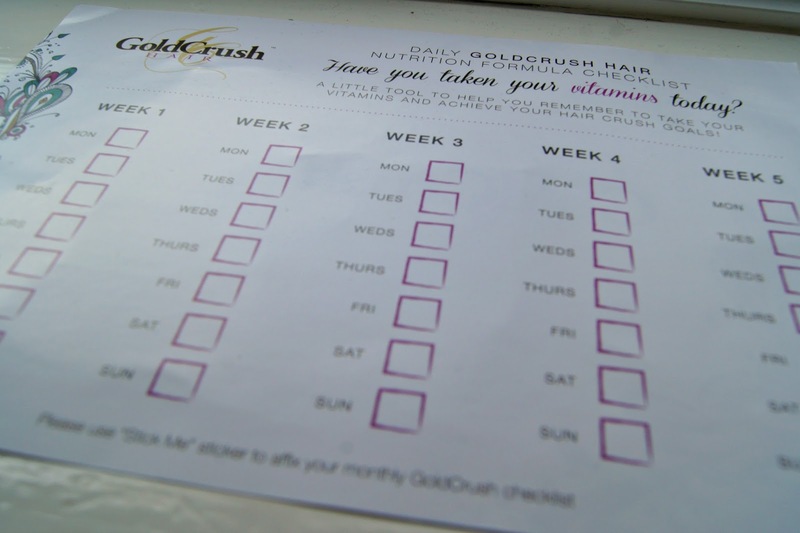 I'll be posting my experience with GoldCrush as part of my Hair Journey, so be sure to check back for my updated results! 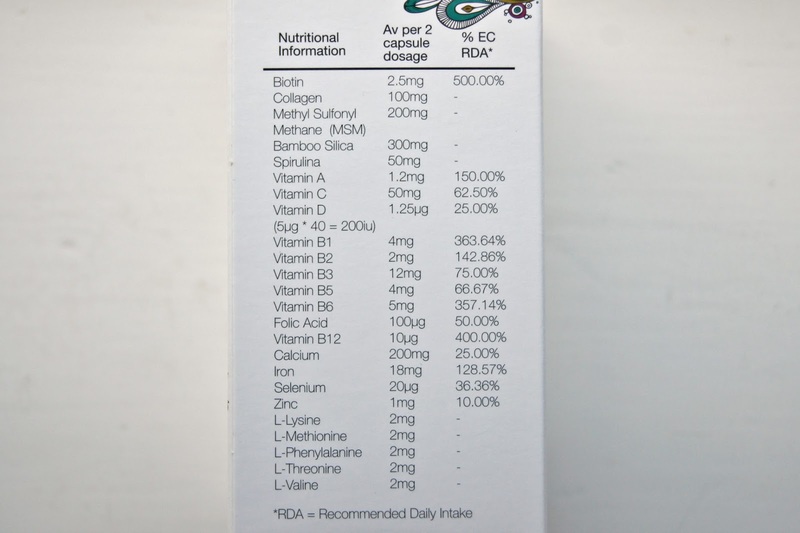 Have you used hair supplements in the past? This is a great idea! 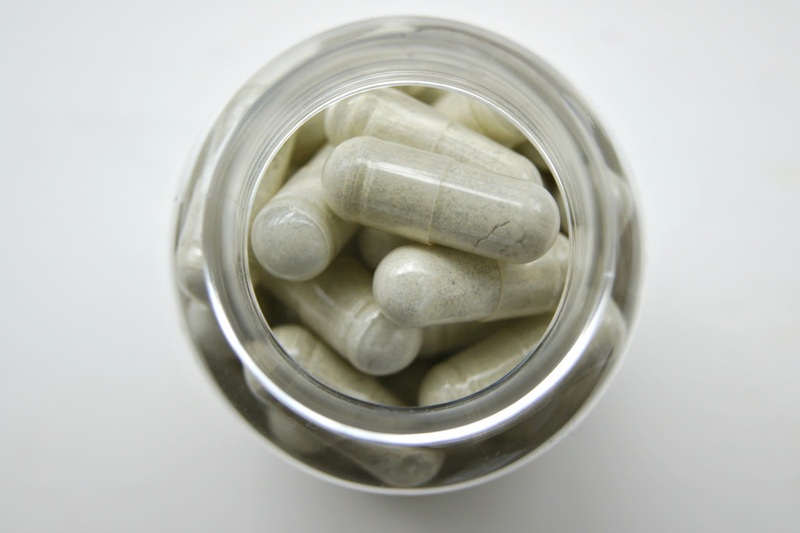 I was taking Biotin last year and didn't notice a huge difference, maybe a bit less breakage, but I think a supplement with loads in like this would make a noticeable difference! I can't wait to see if this works, and having a T-shirt to measure the growth is such a good idea. I'll literally try anything to get rapunzel hair, so I look forward to see whether or not this works! I definitely need to be taking more supplements, or eating more vegetables! 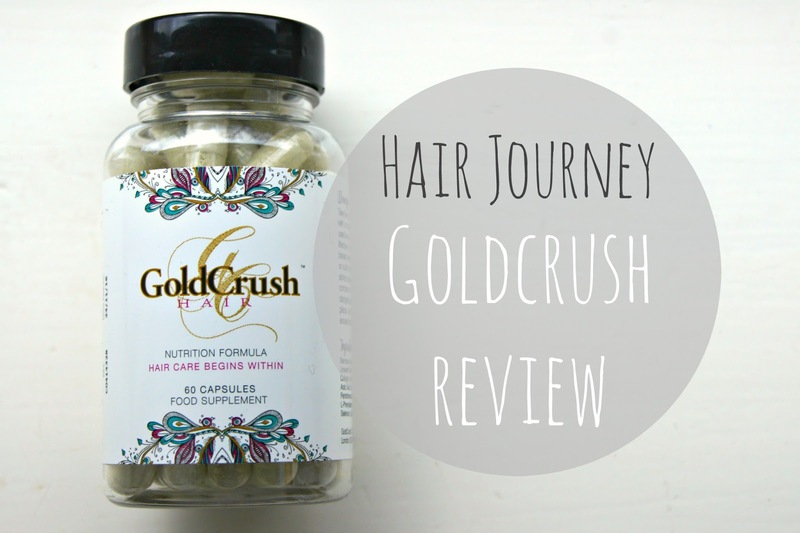 I can't wait to read the full review of GoldCrush, I would love naturally long hair.